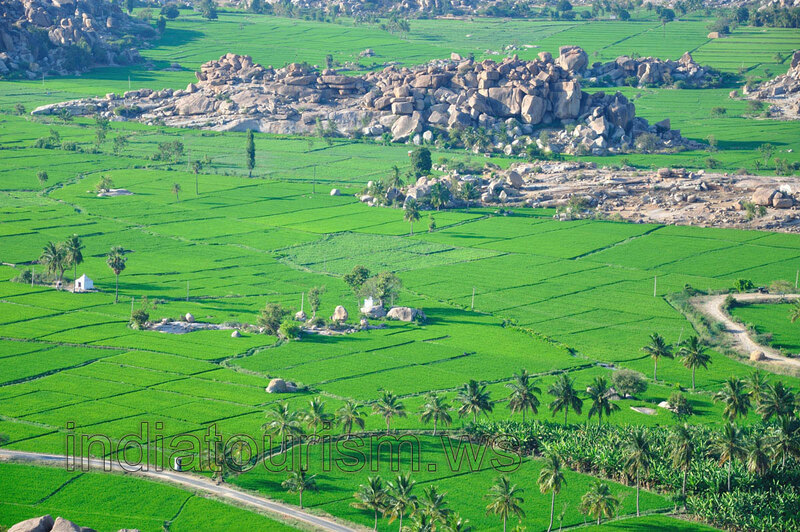 Green paddy fields observed from the Anjanadri hill truly amaze our imagination. Laborious people of India cultivate rice very carefully and tenderly. Wherever I was in India, each time I saw the paddy fields they look like the paradise lawns.